Easy to handle Exchange Public Store as well as Exchange Mailbox Database EDB files. 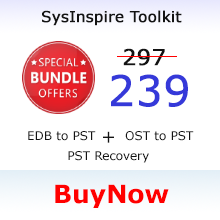 Multi-Tasking Exchange EDB Recovery- Recover, Repair, Restore and Export Exchange EDB to PST, EML, MBOX, MSG, HTML files. Quick Technology to scan larger Lotus Notes Databases and export into multiple file formats. Option to export Lotus Notes to Outlook, EML, MSG files with every properties. Option to easily export Lotus Notes Address Book to CSV Excel file. 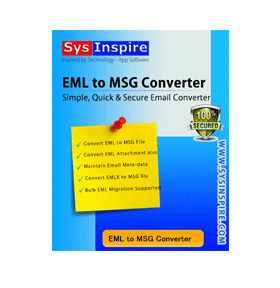 Easiest solution to recover and export OST to Outlook PST, EML, MSG, MBOX, CSV, VCF, HTML and ICS files. 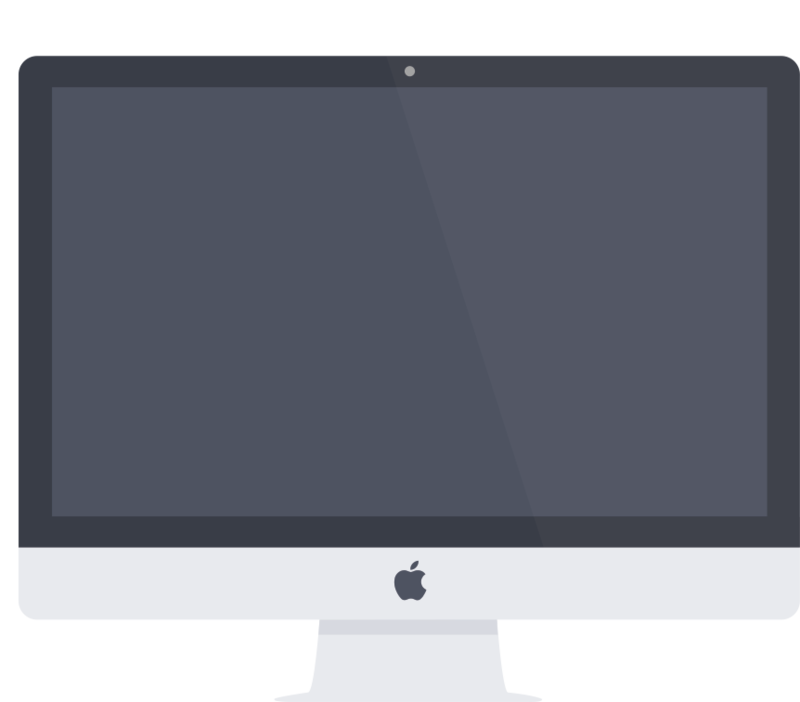 Quick OST recovery technology to load and scan unlimited size of OST files and gives live preview of OST emails and other items. 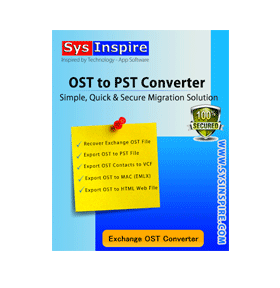 Recover, Convert and Export OST to PST from Exchange OST 2016, 2013, 2010, 2007, 2003 and 2000 files. Recover all version of Outlook PST file 2016, 2013, 2010, 2007, 2003, 2000 files. 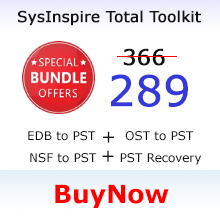 Repair PST file in seconds and save PST to PST, EML, MSG, MBOX, HTML, CSV, VCF and ICS files. In App Preview enabled to see live preview of each PST mail messages with attachments. 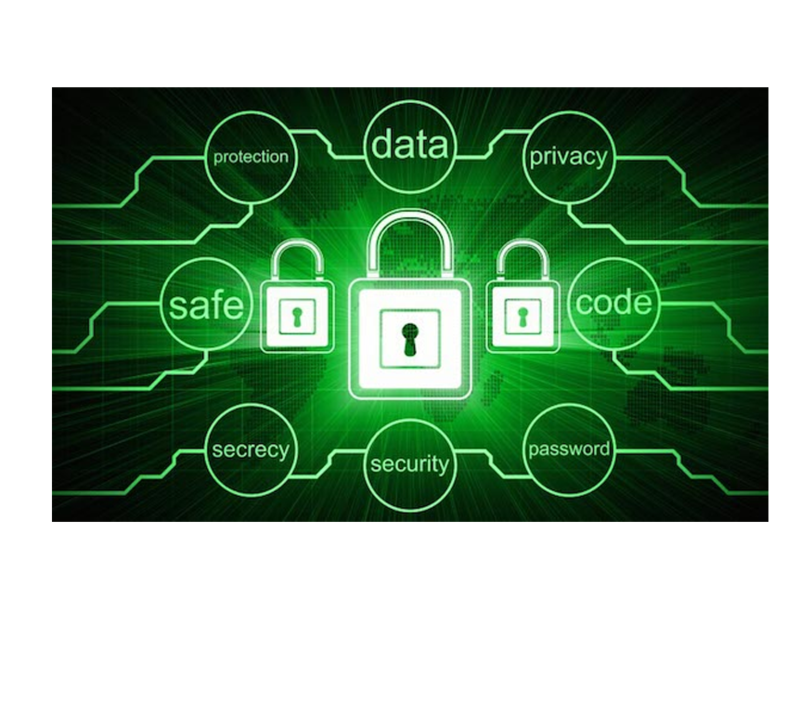 Excellent technique of SysInspire 7z Password Recovery software for helps to recover lost 7z file password and access to open 7z file. Software supports all types of 7z file versions. 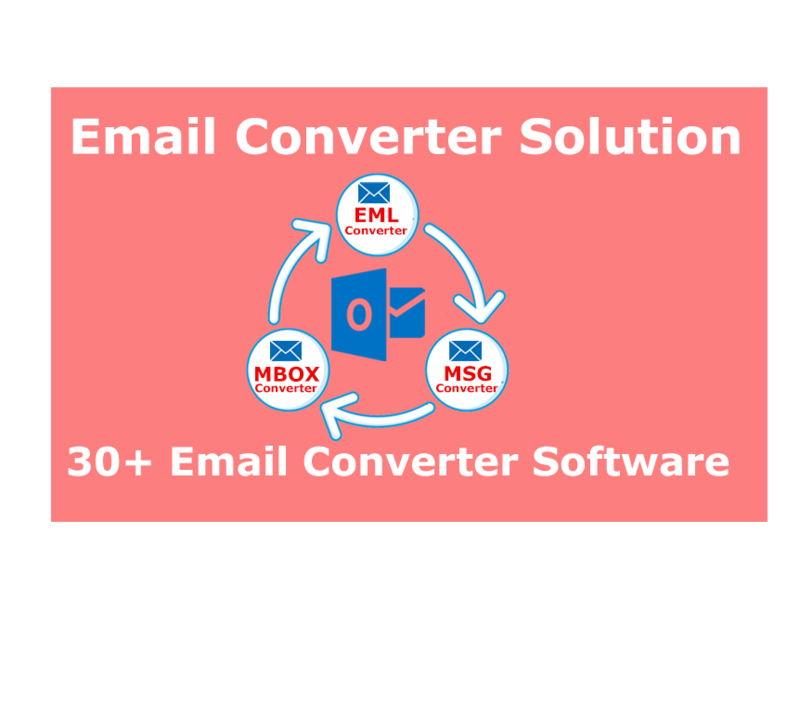 EML to Office 365 converter software has special features to resolve all errors of EML file and convert EML file to Office 365 file with complete items. Live Mail Calendar Recovery software is designed for Windows live mail calendar and helps to convert WLCalendarStore.edb file to PST Outlook.  Lotus Notes NSF to PST Converter Software recover notes nsf database and convert NSF to PST, EML, EMLX, MSG, MBOX, VCF, HTML, CSV and ICS file. Exchange Database Recovery Software to quickly search Exchange Mailbox to Convert EDB to PST, EML, EMLX, MSG and HTML file format. OST to PST Conversion Software scans largest OST file in seconds and gives successful conversion from OST to PST, EML, EMLX, MSG, MBOX, HTML, VCF and more..
MS Outlook Recovery Software significantly repair Outlook PST file and allows to convert PST to PST, EML, EMLX, MBOX, HTML, VCF and more..
EML to MSG Converter software supports to convert bulk EML files to MSG file with all email message properties like To, Cc, Bcc, Subject, Date, Time and Attachment. 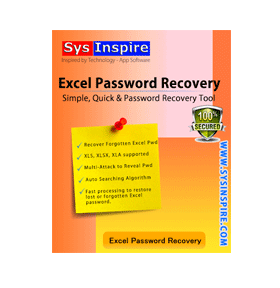 Quick Excel Password Recovery Software scans XLS, XLSX, XLA files fastly and recover lost or forgotten Excel password within minutes by applying multiple algorithms. Discover our digital projects and the rigorous process of data migration creation. Our principles are creativity, design, experience and knowledge. 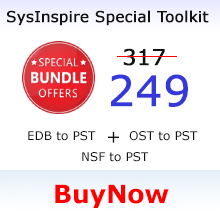 SysInspire Solutions have abridged exists of millions of users who associated with Computers and for all IT admins. Business complaint data repossession and advanced risk management solution or Products from SysInspire Software have ushered in a modern era of adept and world-famous tools that are supports only windows platform and are cost effective and competent. SysInspire Software always designed product to help clients relating to Email Conversion, Data Migration, Forensic Tool and many more..